We honor our warranty in every purchase, with respect towards the customers who chose us for their purchase. We do not have irrational demands, and we take full responsibility for the cost of a manufacturing malfunction. In any other case, we will repair your mattress, and we will charge you the actual cost for our services. 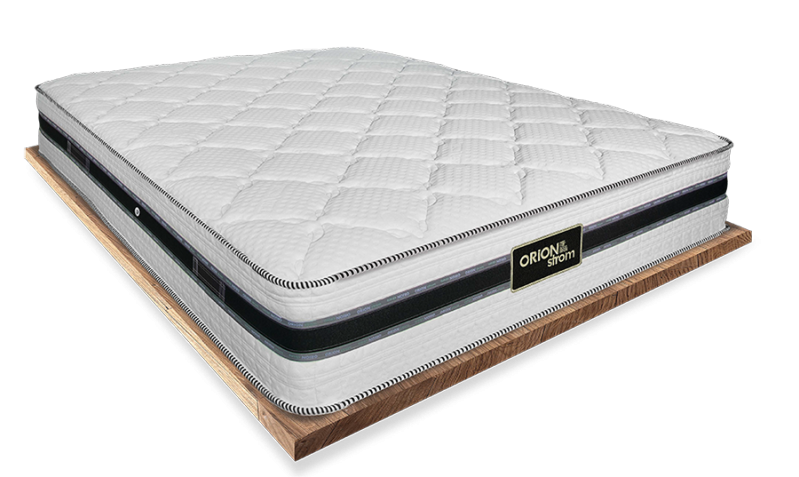 One more anatomical mattress of the Nature series that is designed to provide a natural feeling when you lie down on it. With coconut and latex content, it combines elasticity and soft foamy texture. The construction of Bonnell springs with metal frame provides durability and robust edge support. 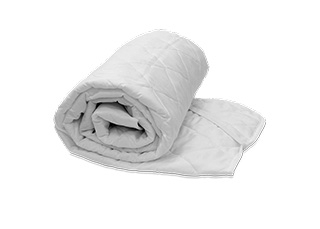 It has a cotton wool wadding made from pure ecological materials, so it is capable of staying at cool temperatures. 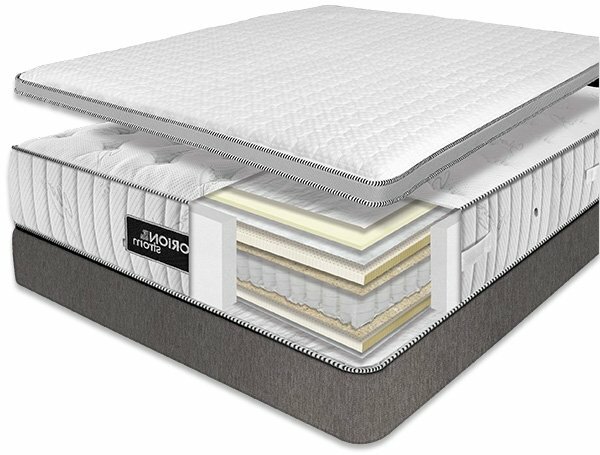 Bonnell Spring is the oldest spring type technology and is currently widely used in the entry-level spring mattresses. Bonnell springs are hourglass-shaped, and the ends of the wire are knotted or wrapped around the top and bottom circular portion of the coil and self-tied. 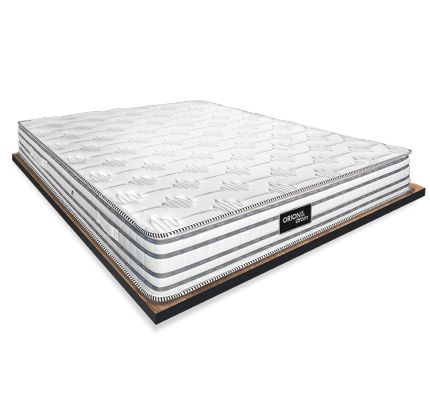 During the production process we fry the spring in higher temperatures to make it extremely durable, while we include far more coils than the average mattress in the industry, to ensure quality. Bonnell springs are highly recommend it for babies and young individuals during their growth, to prevent future back complications. A fabric that enhances the mattress on the outside, to better maintain its form, for a long-lasting result. 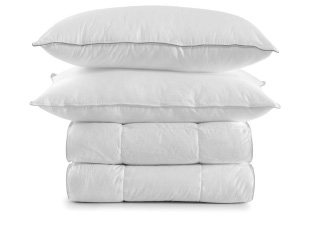 Cotton is a natural raw material, used in our everyday lives. 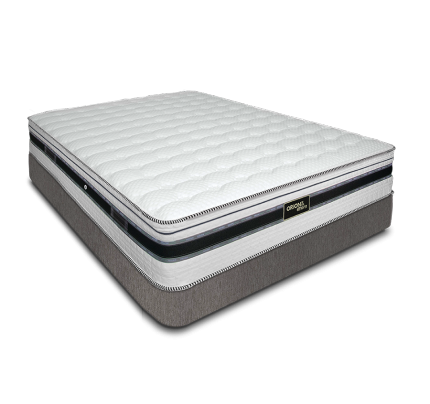 Its antibacterial protection, thermo-regulative properties, while it absorbs sweat and properly ventilates the mattress. 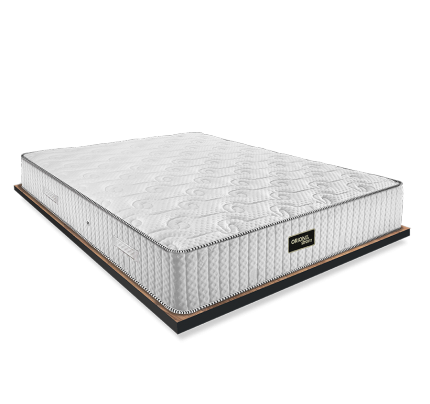 Lastly, natural materials is generally something we should pursue, as we spend 1/3 of our day on the mattress. Approximately at 200 B.C. the ancient-Romans considered wool as the ideal component for their mattress. Just like with everything else, nothing was a coincidence in the ancient Rome! By the 18th century, wool became again popular for our sleep, as people scientifically proved the health benefits. One of the most important is the hypoallergic property this natural raw material have, as we spend a good amount of time during the day for our sleep. After undergoing through a special process, it is naturally cleansed, while it maintains the naturality. Finally, it has thermo-regulative properties, and it gives us warmer sensation during the winter, and cooler during the summer. On top of that, it absorbs the humidity, providing a necessary comfort that everyone needs. Latex is an exotic juice extracted from Asian tropical trees, by local farmers. 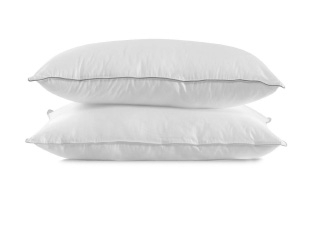 Its anti-parasitical properties made it popular in the bedding industry, on top of its already popular elastic comfort. 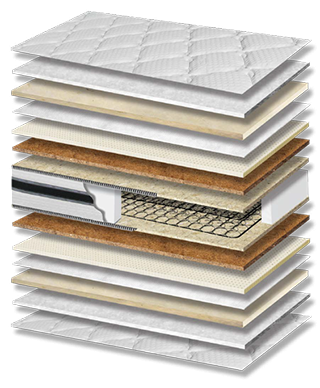 Chances are, while you did your research for a mattress, you came across “100% natural latex” mattresses. Like every homemade recipe, adding unnecessarily something, can ruin the recipe. Therefore, we use a special blend made up from both processed and natural latex. The production process we prefer is Talalay, which delivers higher quality in a cost-efficient manner. Our recipe makes the most out of latex, by acquiring the attributes from both the natural and specially processed latex, without its disadvantages. On top of that, our Belgian partners responsible for the production, go through frequent inspections to maintain their Oeko-Tex certificate, which we proudly provide whenever asked. Unfortunately, harmful fillers are very popular in our industry and we take this matter seriously. 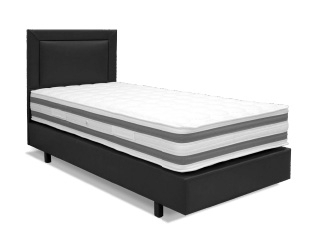 The most commonly used felt in mattresses, is the coco-felt. It is made up from coconut fibers, infused with latex juice, drained from locals in the tropical coasts of Asia. Our coco-felt is strictly from coco fibers where the coconut tree prospers, and therefore, gives us the full range of the properties we are seeking. The coco-felt we use, absorbs the humidity and at the same time allows proper ventilation. 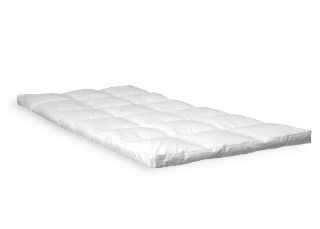 It provides a more flexible surface, that assists the mattress to softly hold our bodies. The combination of latex, ensures us for a long-lasting result with orthopedic properties, ideal for nearly everyone. Lastly, it has thermal insulation properties, which maintain the temperatures steady. There must be 1-2 cm free space, between the mattress and the bed frame, in order to keep it in good condition for many years. * For main Greek cities only. You can view all the available payment and delivery options. Our fabrics are skin-friendly, from pure raw materials. In contrast to recycled and radioactive raw materials, we use only certified raw materials to promote health and quality during our sleep. Incidents of carcinogenic raw materials have been reported in the industry, where we responded by asking certificates from credible associations. Better ventilated from the average mattress, helping us to regulate the temperature of the micro-climate in our mattress. It takes the structure of your body, providing a better result. 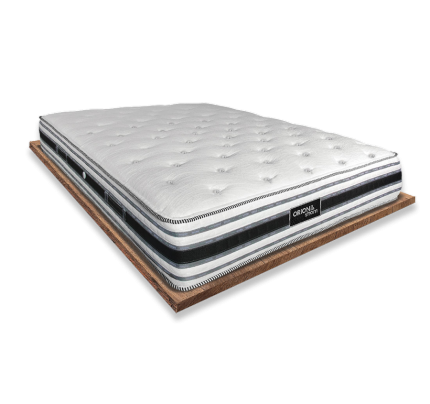 Mattresses with musculoskeletal support, are extremely soft on their surface, to avoid pressure on the nerves and capillary vessels, which provides comfort and well-being, while our body properly adjusts on the surface. To assure the quality of the materials inside the mattress.